We are very proud to be the only clinic in Orleans County that offers 24 Hour emergency care to our established clients. We understand that accidents happen, and situations occur in which veterinary assistance is needed as quickly as possible. Dr. McKenna is on call most nights of the week, and when he is not available, contact information for the emergency clinics nearby are available after hours. When you have an emergency please call the office for the appropriate phone number to call for your emergency. If you are not contacted within twenty minutes of your call please call that number again. Once Dr. McKenna receives your call he will consult with you on the phone about the next step for your specific emergency. If Dr. McKenna is not your current veterinarian he will be unable to help you with your emergency, but there are emergency clinics which are open 24/7 in both Rochester and Buffalo. 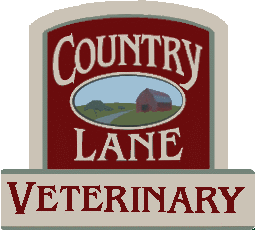 Country Lane Veterinary Services we are happy to provide emergency service for our current clients.